The hip-hop scene is characterized by its own style of dress -- its loose yet cool sense of fashion. Thanks to the music genre’s recent boom, more people than ever are seeking to dress like the rappers and DJs that they admire. Hip-hop fashion is more commonly referred to as street fashion in Korea. Though the term was originally used to differentiate the “realway” look from the runway one, it is now used to signify a hip-hop style. Rap has been creating a buzz in the last couple of years. Audition shows “Show Me the Money” and “Unpretty Rapstar” have been big hits, especially among the younger generation. Naturally, more people want to join in the trend. 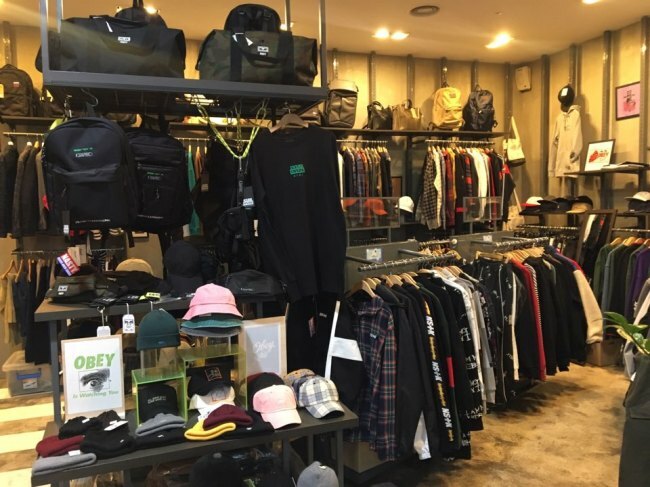 Many select shops with street fashion brands are found in Hongdae area of Seoul, considered a “holy place” for underground music in Korea. The district is dotted with hip-hop nightclubs, music venues and skateboard shops. 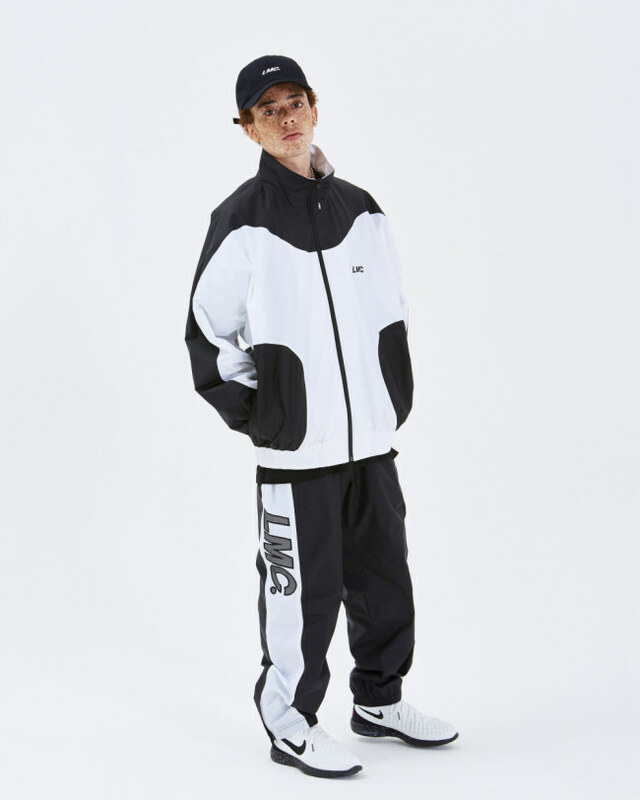 It is easy to spot passersby wearing the latest hip-hop style, but most exhibit modest looks with basic items, adding variations with shoes, hats or accessories. At the two-story store, the most in-demand item is a hoodie. People prefer hoodies with simple but colorful graphics. “Customers search for basic items that they can wear every day, along with other items,” the manager said. The shop is frequented mainly by students in their late teens or early 20s but many artists from the local hip-hop scene also drop by. According to the manager, even the hip-hop scene makers prefer neutral and simple looks. “It’s different from how it is on screen,” Yoo said, explaining that the key is to dress down. “One can add details by wearing light accessories or a ball cap. Nowadays, bum bags (belt bags) are trendy,” he said. Many customers at the store also look for athletic pants. As “athleisure look” has been trending, track pants and jogger pants have been popular. Wearers adopt the items to their own styles, by wearing large sizes, creating the signature baggy look. 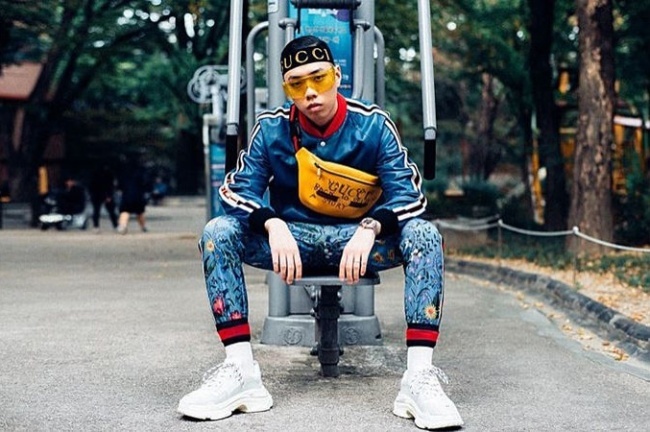 The manager Bae Ji-hwan explained many hip-hop aficionados are pursuing simple looks while “putting all the effort” into the shoes. “Shoes have to be unique, stylish and from high-net-worth fashion house brands. It’s called investing in shoes,” he said. According to Bae’s explanation, Gucci and Balenciaga are the two headliners for “shoes investment” in the scene, according to Bae. One’s style is decided by how expensive and rare the shoes are. “The two brands’ styles are distinctively different. Those who prefer neat yet kitschy looks prefer Gucci shoes, others who search for more hip and trendy styles wear Balenciaga,” he said. Domestic fashion brands are also going strong. 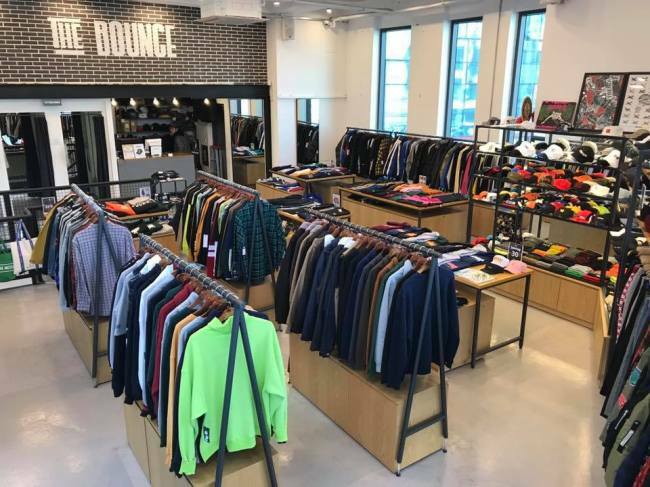 Street fashion scene, once dominated by famed foreign brands, such as Supreme, Vetement and Obey, are now seeing many domestic brands marking good sales. 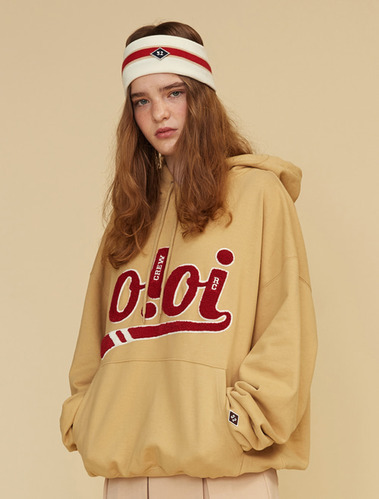 OiOi and LMC are the two hottest local brands. Hip-hop artists influence what fans listen to and wear. Many fans look for specific items that their favorite stars wear. Although some items are quite expensive, devoted customers continue to purchase the items, thinking of them as their identity.